Washington state’s Supreme Court ruled on Thursday that the death penalty violates its constitution. Capital punishment has reached record lows across the US – at both the state and federal levels. The ruling declared that all eight of the state’s prisoners who are currently on death row will now serve life sentences instead. 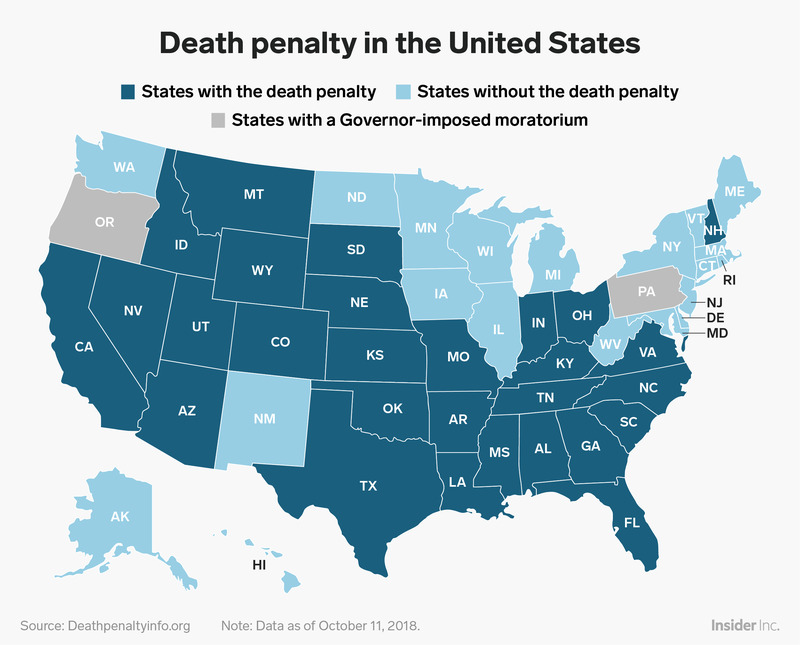 Washington isn’t alone – data show that use of the death penalty has steadily declined since the 1970s, and few states still execute prisoners regularly. 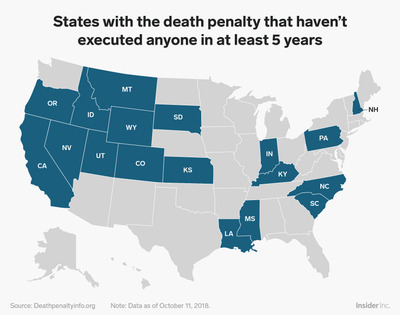 Though the majority of states still retain capital punishment, few of them have actually used it in recent years. There are even 16 states that haven’t executed a single prisoner since 1976,according to The Marshall Project. As the death penalty fades out of use across the country, many states have even put the issue on the ballot in recent years. But voters have been reluctant to abolish capital punishment completely, no matter how rarely it’s used. Harvard researchers found in 2016 that the US’s use of the death penalty is mainly fuelled by just a handful of counties – they’re known as “outlier” counties and they’re scattered throughout states like Texas, Alabama, and Florida. The researchers found that the counties that still actively pursue the death penalty tend to have several factors in common: overzealous prosecutors, inadequate defence attorneys, and racial bias.